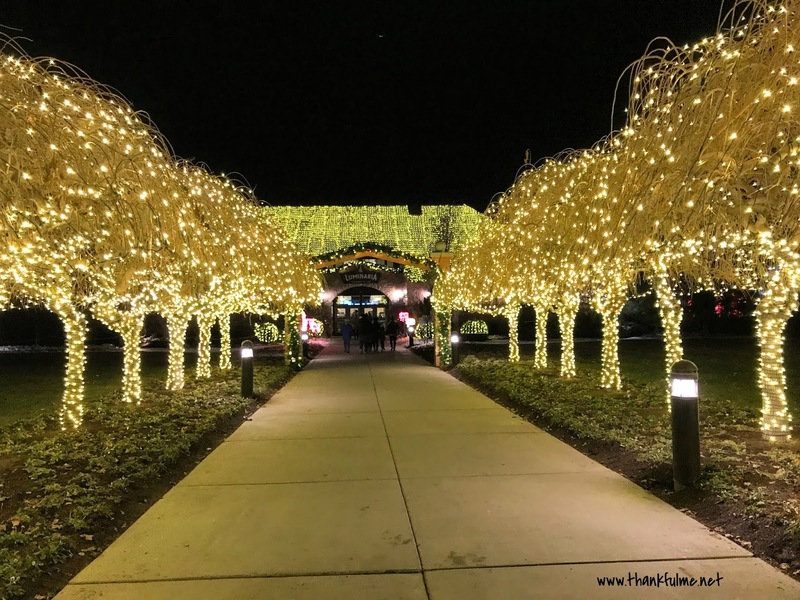 As the #LightTheWorld initiative begins on December 1st, I thought it appropriate to review a Christmas lights display for today's Tuesday Travels post. Lights and Christmas go hand-in-hand. Every year when the kids were young, we would pile them in the car and drive to see the lights. It must have made an impression on them, because last year, our youngest son recommended we visit Luminaria at Thanksgiving Point in Lehi, Utah: "You'll really enjoy it, Mom." Not only did I enjoy it; I knew I would return this year early in the season, so I could share the experience with you. 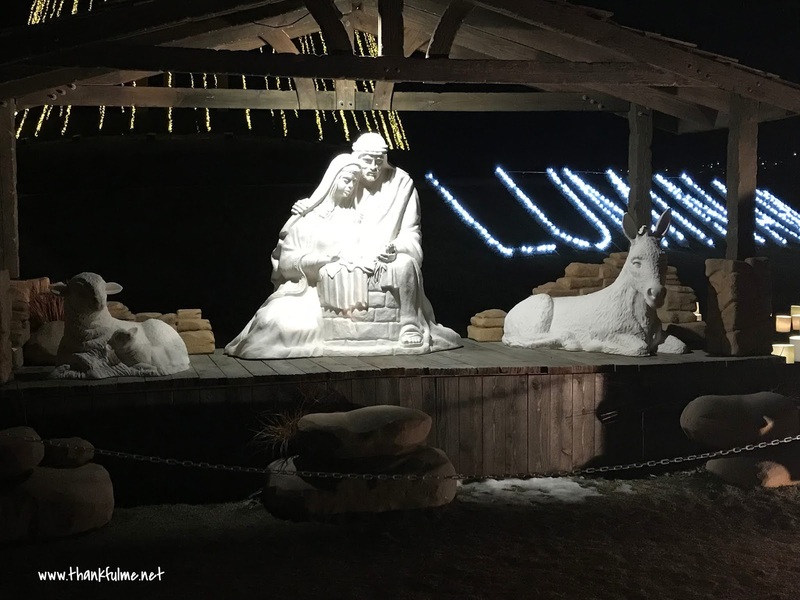 If you find yourself in Utah at Christmastime, put Luminaria on your must-see list! Luminaria is not a drive-through event; you will park your car, walk through the ticketing building (I recommend purchasing tickets ahead of time online), then stroll along a mile of trails through Ashton Gardens. Remember, you will be walking outside at night in Utah, so dress warmly. 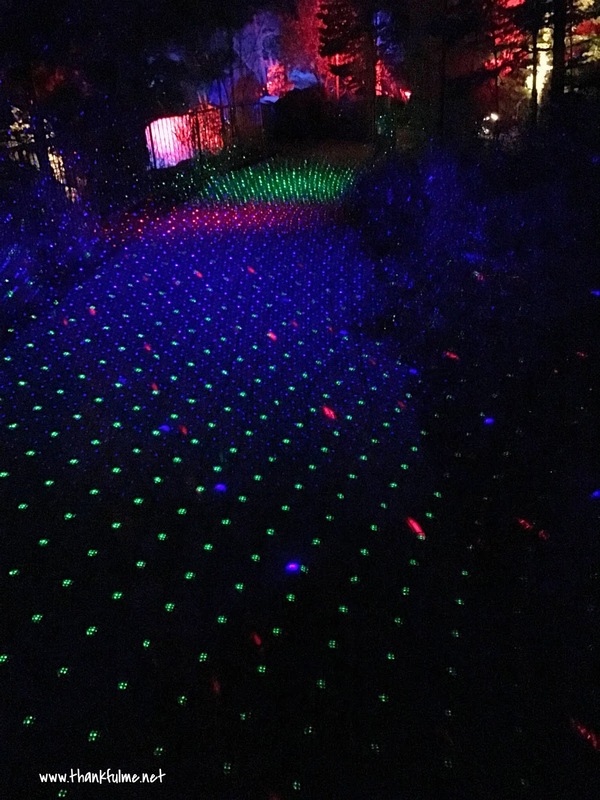 The path takes you to various themed areas, each with different background music (and even scent!) 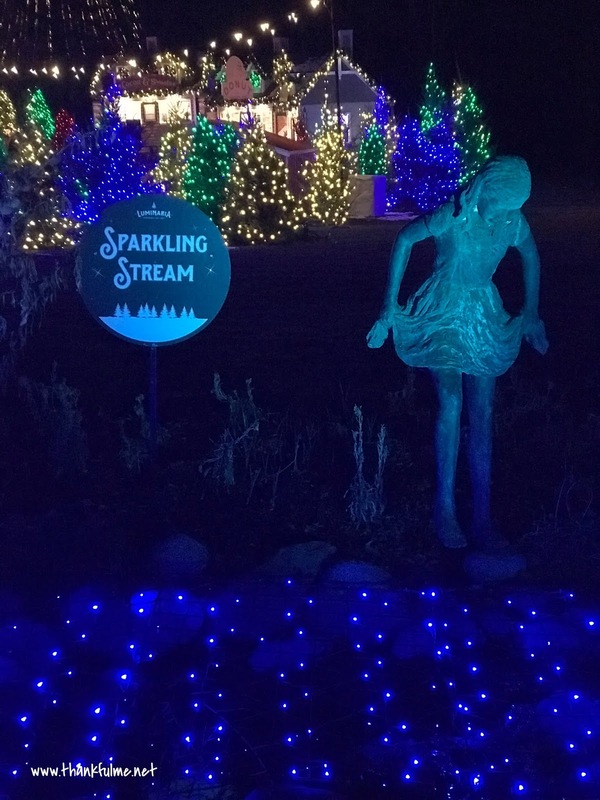 From Candy Cane Lane to the Light of the World garden and beyond, you will be awed at the attention to detail. Photo: A statue of a girl getting ready to dip her foot into a stream. The stream is lighted up with tiny blue lights. Behind the girl, many lighted Christmas trees stand. Throughout the walk, you will find the occasional refreshment stand, and fire pits. Additionally, two of Santa's famous reindeer, Prancer and Dancer, were in attendance last night. 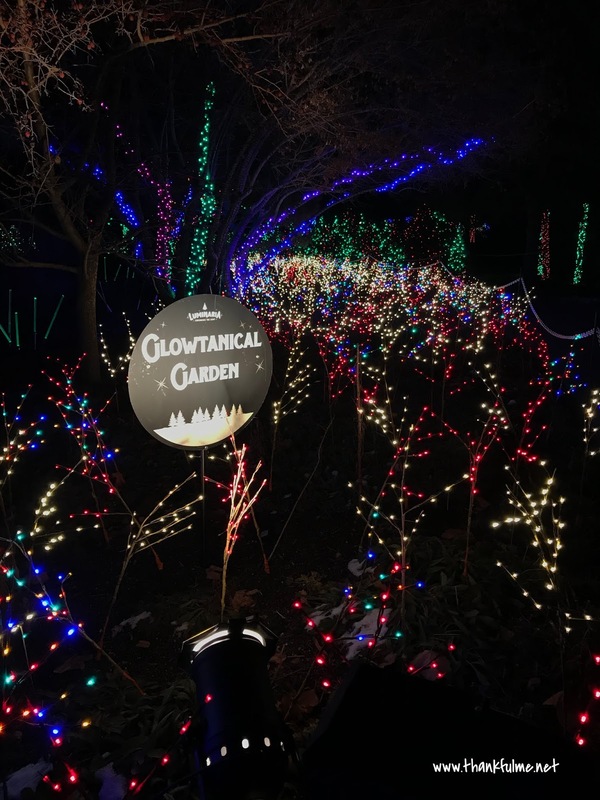 Luminaria is truly a delight for all ages, and visiting it has become (in our second year of attendance) a family tradition for John and me. I'm thankful for Christmas lights, and for Jesus Christ, the Light of the World. Do you like to see Christmas light displays? What are your favorites? Beautiful displays! I've gone to the Denver Zoo on two occasions for their light displays - one night it was bitter cold. When we went to Luminaria last year, the wind was blowing and we weren't prepared for just how cold it was. Fortunately, this year was much more comfortable.